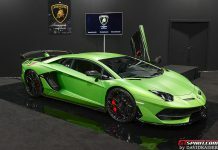 It seems that the Volkswagen Group has well and truly united with the development of the Lamborghini Huracan Spyder and Audi R8 Spyder facelift models. 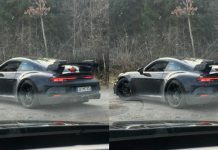 These photos are the latest, shot from the vicinity of the Nurburgring, which show both cars developing simultaneously. 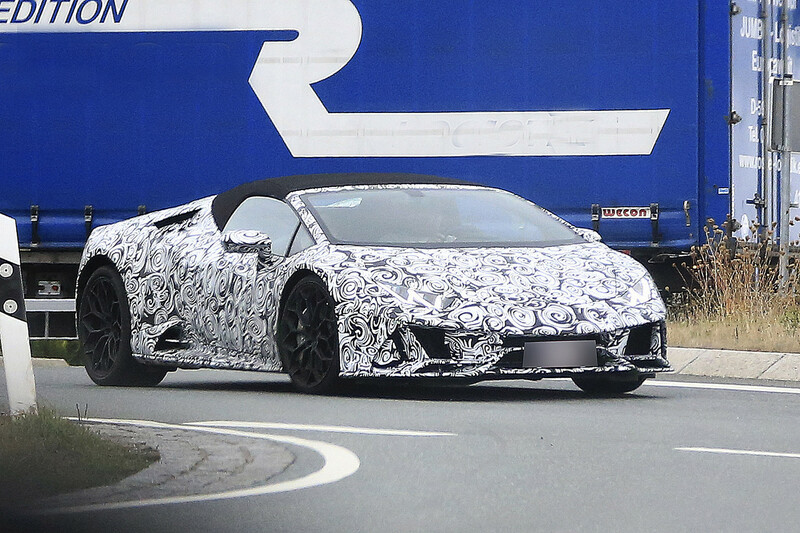 To start with the Lamborghini Huracan Spyder, the facelift model is set to debut early next year, possibly as a 2019 model. 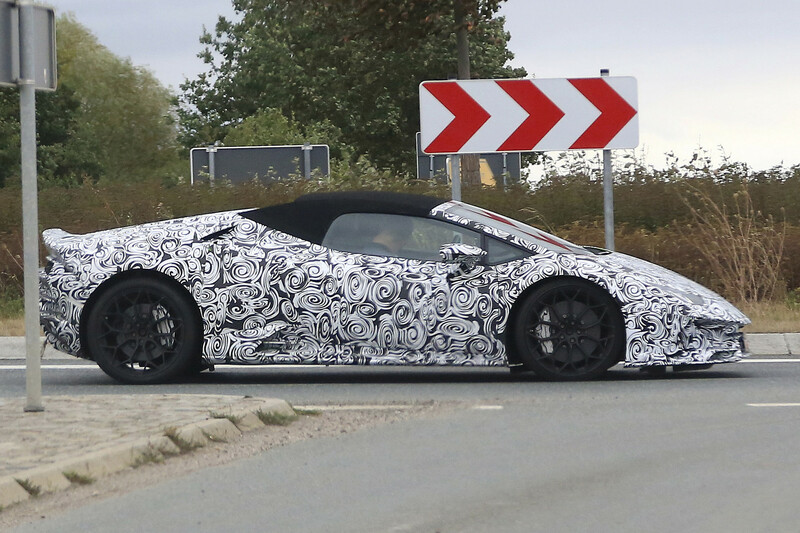 The photos actually show a ‘normal’ Huaracan model, yet it features the central tailpipes that have characterised the Performante in recent years. 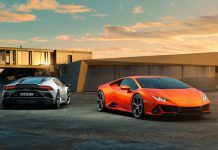 The Huracan has been on the market since 2014 and is therefore due some extensive attention. 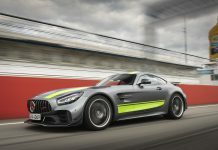 While the camouflage wrap covers the exact design, it is clear that the front bumper has been re-designed to include a more technical air intake, likely using active aerodynamics. 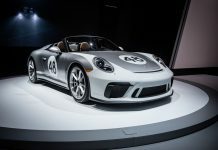 A horizontal fin now appears in the side air scoop and an entirely new rear bumper is clear from behind. 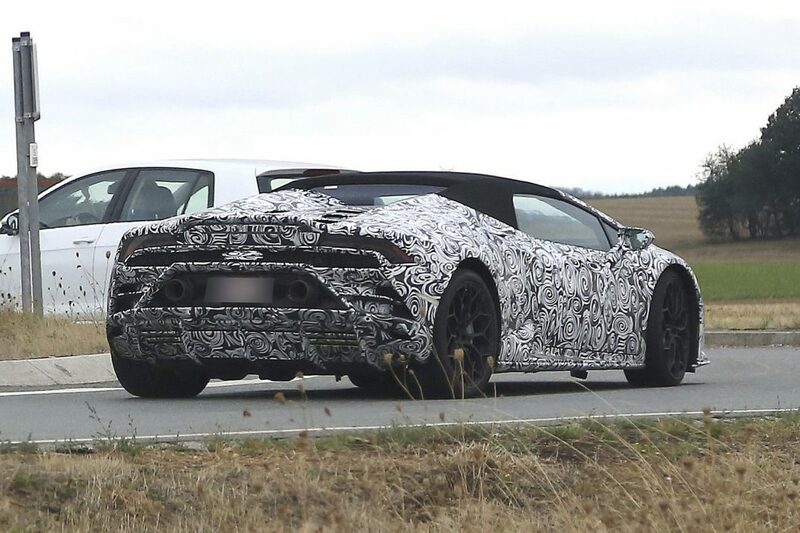 The photos suggest that all Huracan variants could soon get the central exhaust. 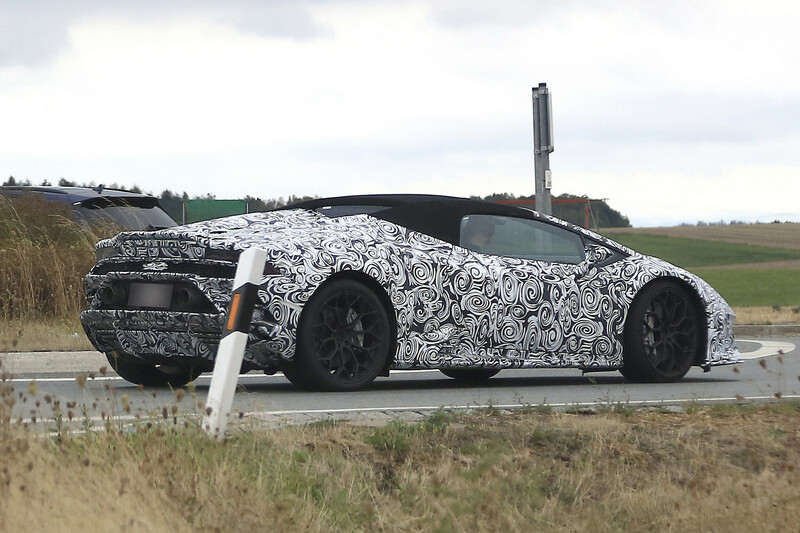 This could improve sound form the 5.2 ltre V10 which will likely get a 20-30 hp power tweak. 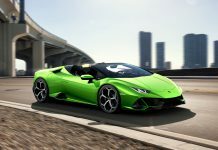 It isn’t clear whether Lamborghini will fit four-wheel steer to the new models, although expect them all to perform much better than the outgoing models. 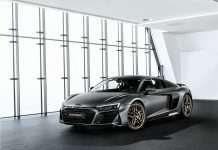 As for the Audi, this is expected to debut earlier than the Lamborghini. 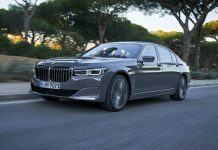 We could see this before the end of the year, perhaps even in the coming week at the Paris Motor Show 2018. The example caught testing in Germany is a right hand drive example. 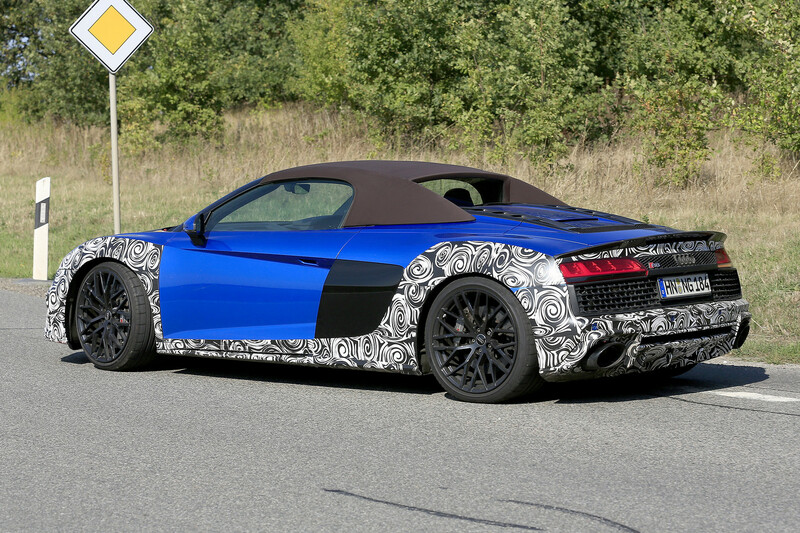 The Audi R8 prototype also gets a new exhaust setup. 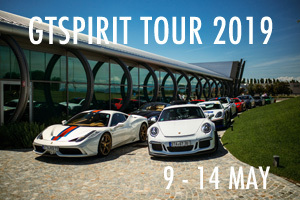 It uses Audi Sport traditional ovals, positioned either side of a redesigned diffuser. The rear bumper also incorporates new venting. 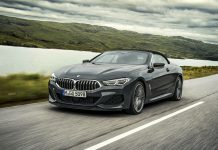 The front grill also does away with the vertical fins in favour of a less complicated look. 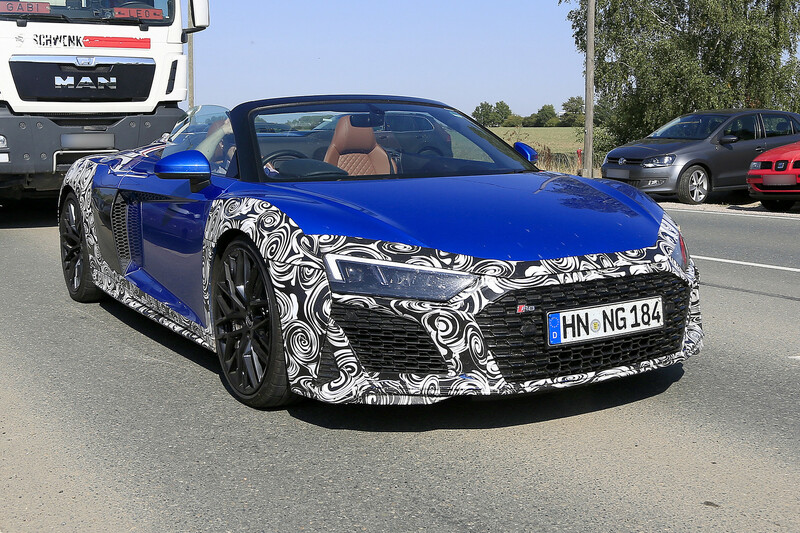 The Audi R8 will likely get similar upgrades to the Huracan, it shares its powertrain!